Fix Development is providing strategic planning and project management for this 400-acre farm development in rural Port Washington. The goals of the project include honoring and protecting the heritage and essence of Afterglow Farm, establishing a more financially sustainable pathway for its operations, and building a legacy that embodies a spirit of stewardship for the land and its bounty. Afterglow Farm decided to pursue intensive vegetable production because it is an established, relatively mature approach; there is likelihood for financial viability; and, vegetable farmers could form an important cornerstone in the development of a sustainable community food system. Fondy Food Center was selected as the partner for this endeavor. Fondy Food Center is a nonprofit organization created as a long-term response to lack of access to healthy food in Milwaukee’s poor, near northside neighborhoods. Fondy’s mission is to increase food security by improving the availability of fresh, locally produced food products, ensuring the economic health and sustainability of the local food system, and by fostering the creation of new jobs, ventures and wealth through the production of high-quality food products. Fondy Food Center’s centerpiece is the Fondy Farmers Market, a 48,000 sq. ft. open-air permanent structure housing 21 farmers and serving up to 3,500 customers per week during the growing season. Fondy Market is one of the oldest farmer’s markets in Milwaukee located at 2200 W. Fond Du Lac Avenue. At the time that Fondy was chosen for this partnership, its market farmers, 94% of them Hmong, faced a number of challenges, including low quality, expensive land, insufficient infrastructure, and cultural conflict. Fondy Farm was conceived as a solution to these challenges. During the first two years, this partnership has secured funding and refined strategies for the Fondy Farm. The 2011 launch was very successful: 362,000 pounds of food were generated on 34.5 acres of land. In 2012 the Farm installed a gravel road, built an on-site hoophouse, and drilled an irrigation well. The farm is also home to a new organic fruit orchard, which Fondy was awarded through a competition sponsored by Edy’s Fruit Bars Communities Take Root Program. The Fondy Farm has already had great impact socially environmentally and financially. 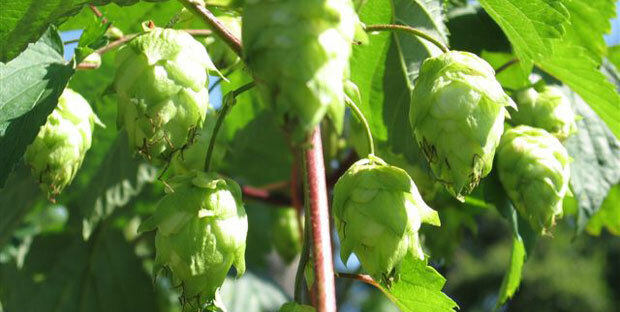 Wisconsin, once producer of one fifth of the world’s hops, was producing almost none by the year 2010. An extraordinary state brewing history, a favorable climate, a robust craft brewing industry, and strong demand for Wisconsin-grown hops make hops attractive for reintroduction in Wisconsin. The decision was made in 2010 to explore hops production at Afterglow Farm in order to help stimulate an increase in the production of Wisconsin farmer grown hops, increase the processing of these hops into Wisconsin craft beers, and to promote an increase in consumer sales of these beers in local Wisconsin markets. After a few years of pilot planting and harvesting, which allowed for identification of numerous challenges and solutions, hops production is now focused on the final and critical element of the value chain: processing. Fondy Farm has been selected to grow the hops as research continues. In 2011, Afterglow Farm acquired some property just south of the Fondy Farm to pilot the introduction of livestock. In the spring of 2012 Benjamin Rich was recruited to start up a new pasture-based, grass-fed livestock farm. While the first farm partners brought extensive experience, here Afterglow decided to take some greater risks with a less experienced, younger farmer. Ben’s initial livestock plan was for 30 egg laying chickens and five pigs, all raised on pasture. Ben’s Clover Field Farm included market rent of a house and storage structures (located at 790 Lake Drive in Port Washington) as well as rental of buffer land planted with nutrient rich clover adjacent to Fondy Farm for use as a pig and chicken pasture. By mid-2015, three seasons of operational efforts on-farm were completed as part of the overall Afterglow Farm Plan. After evaluation, it was mutually determined that Ben’s pig farm was not developing viably and operations were wound down. The homestead and land occupied by Ben were made available for use by Afterglow Dairy Farm, providing housing for new apprentice goat farm managers (see below). In late 2012, Afterglow Farm acquired an active 300-head cow dairy operation located at 820 Lake Road, Port Washington, Wisconsin. Fix Development developed a business plan to chart the course for converting the property to a goat farm. Te primary purpose of the farm would be to produce quality goat milk using sustainable farming practices. The goal farm would also be designed to be congruent with the larger environmental and social aims of the Afterglow Farm plan. 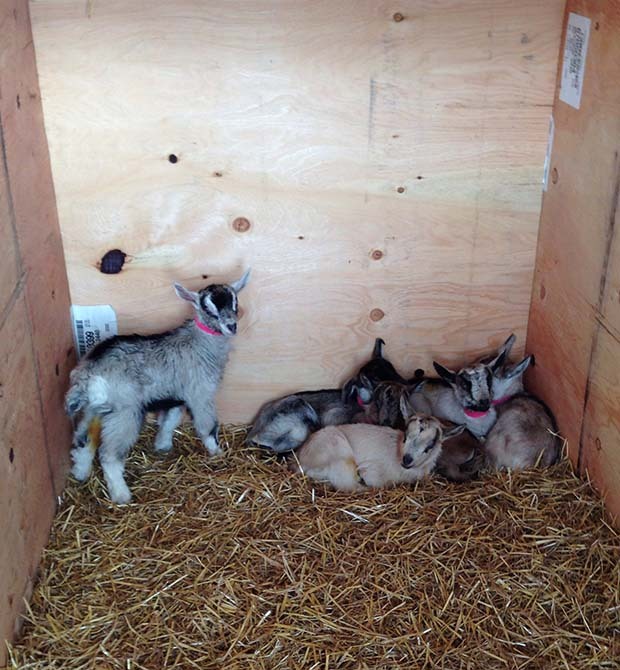 The goat farm officially launched in 2013 with a set of key strategies aimed at directly tackling known Wisconsin goat industry challenges in order to achieve profitability by year three (2016) and to achieve maturity and long-term stability by year five (2018). Once fully operational, the farm aims to feature an efficient goat milk production facility milking approximately 600 goats, which fits well within the capacity of the original cow dairy footprint. By 2015, the farm was projecting milk production of almost 800,000 pounds annually. A small farmstead creamery designed for artisan value-added production may be added in a future phase to the farm once sustainable milking operations have been developed.